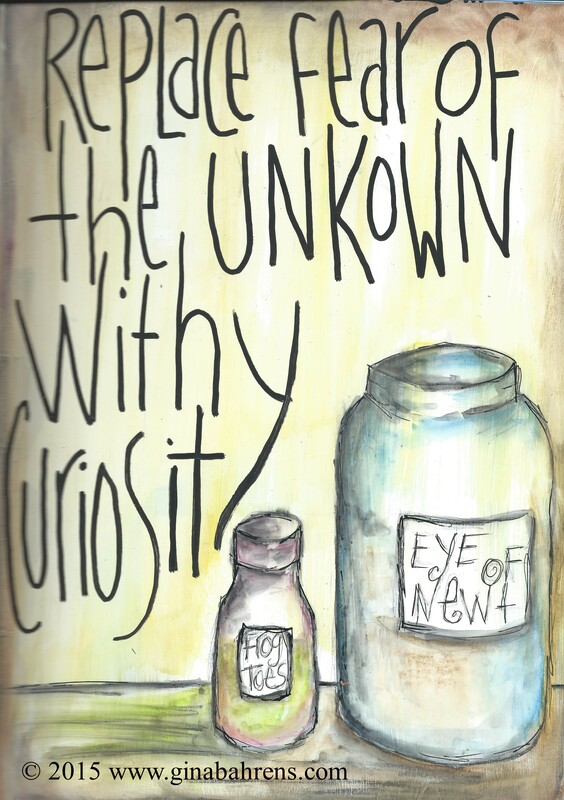 Continuing with our very loose Halloween themed pages for October, we give you Creepy Curiosities this week. So many things could come from this prompt, and all of our pages are very different from each other this week. 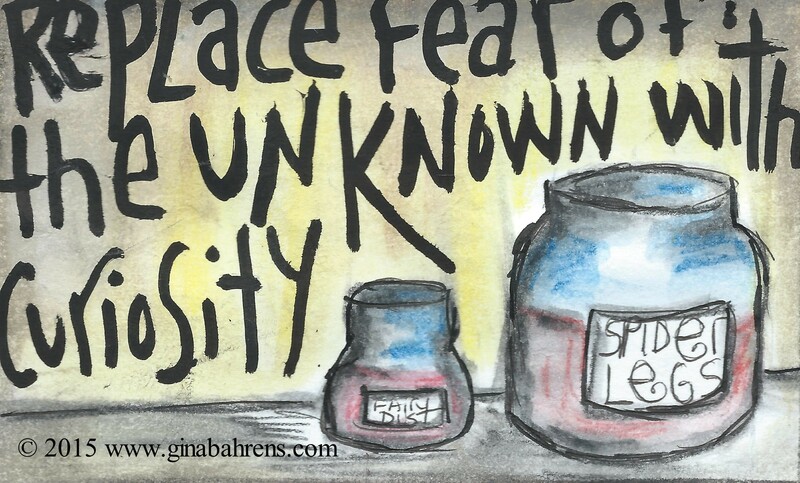 Gina’s jars are awesome, and deceiving, in their simplicity. I created my page using my DecoArt supplies that I finally got to break into…and a video will be coming tomorrow to youtube showing my technique for creating the spider web. 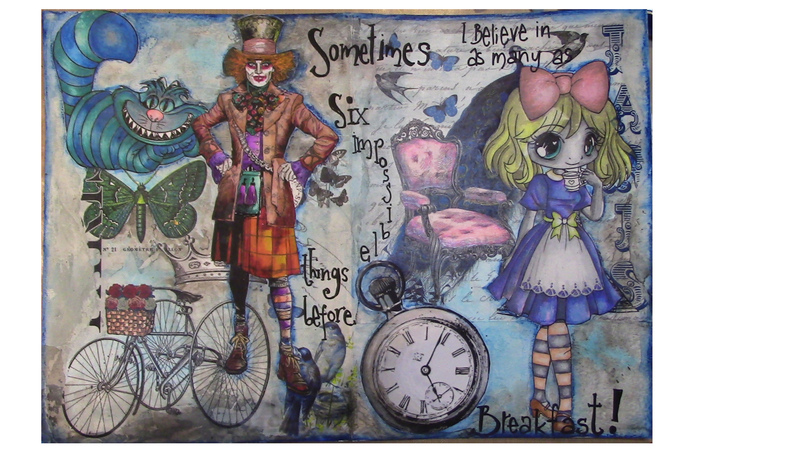 Peta’s lesson this week is for her incredible Alice in Wonderland themed layout…I’m so in love with it! I need to do this lesson myself!